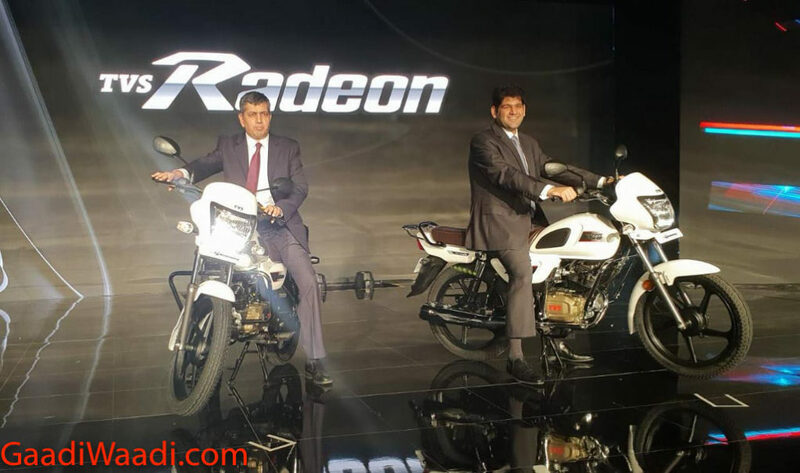 TVS Motors today announced that their 110cc commuter Radeon has crossed one lakh Sales milestone. TVS launched the Radeon in August 2018 in India and it was targeted mainly towards semi-urban and rural markets of the country. 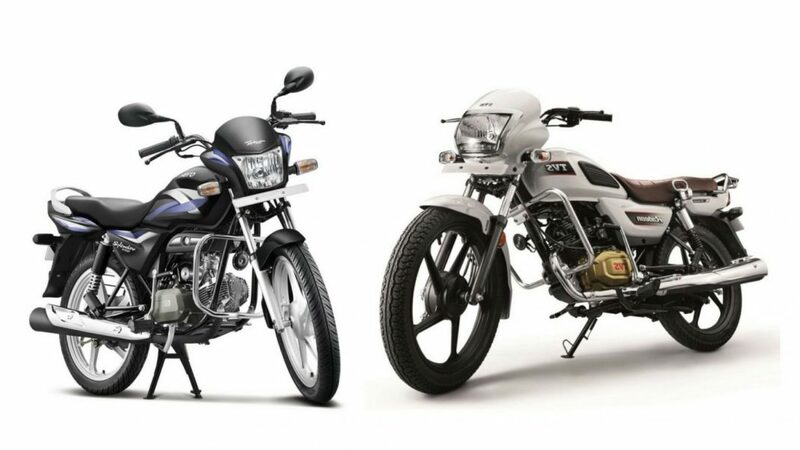 The motorcycle rivals directly against the likes of the Hero Splendor, Honda CD110 Dream, etc. However, it was able to create its own niche by offering multiple first in class features. The TVS Radeon offers an LED daytime running lamp, brown seats, champagne gold engine cover, chrome bezel on the headlamp, knee pads on the fuel tank which was definitely able to add a fresh appeal to the rather basic design of the motorcycle. He also added that the Radeon with its stylish appearance and impressive handling has upped the choice available for the everyday commuter. The TVS Radeon is powered by a 109.7cc Dura-Life engine. This unit paired with a 4-speed gearbox generates about 8.3 bhp of peak power at 7,000 rpm and maximum torque of 8.7 Nm at 5,000 rpm. The motorcycle has a fuel tank capacity of 10 litres and it promises to return a claimed fuel efficiency of 69.3 kmpl. The motorcycle is built on a tubular steel chassis and features TVS’ synchronised braking technology. This braking technology promises to offer better control and prevents the wheels from skidding under panic braking situation. The synchronised braking technology ensures that the front brake is automatically engaged when the rear brake is applied. It also enhances the braking performance of the motorcycle by reducing the braking distance up to 10 per cent. That said, The TVS Radeon also comes with a 5-year warranty and is offered in White, Beige, Purple and Black colour option.